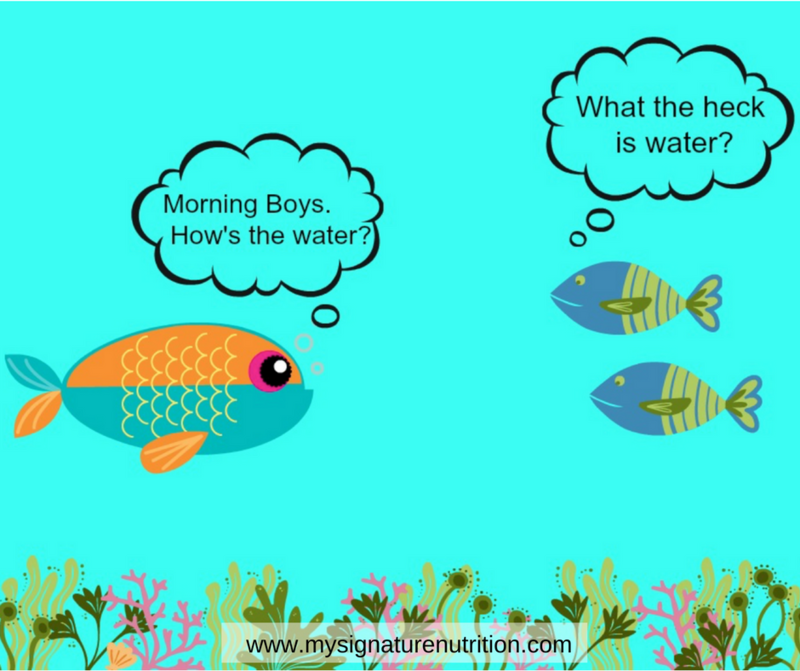 There are two young fish swimming along and they happen to meet an older fish swimming the other way, who nods at them and says, morning boys, how’s the water? The two young fish swim on for a while and then eventually one of them looks over at the other and goes, what the heck is water? Diet culture is a belief system that values weight, shape, and size over well-being . It’s harmful for everyone but it’s downright dangerous for people with eating disorders. 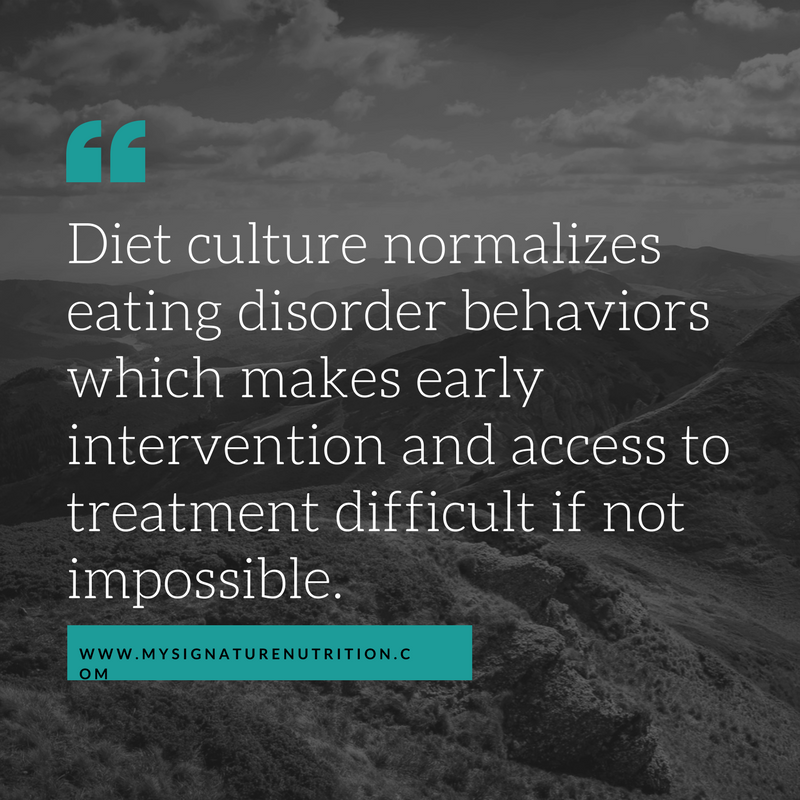 Diet culture normalizes eating disorder behaviors, which makes early intervention and access to treatment difficult if not impossible. Like the two young fish in water you won’t even know diet culture exists unless you’re aware of it. Then you’ll see it everywhere. You may even wish that you could un-see it because it can get overwhelming! By building awareness about diet culture, you can improve your well-being and help many other people. As you become aware of diet culture, you start to challenge the normalized messages of disorder in our culture. When you do that, you help prevent eating disorders and increase early access to intervention and treatment. <–This can prevent years of suffering and save lives. Weight, body shape and size–Diet culture says self worth comes from your weight, and that your happiness is determined by your body weight shape or size. That to be happy all you have to do is change your body or lose weight. Appearance–including compliments about weight loss– “Hey, it’s been so long, you look amazing, have you lost weight?” It’s difficult because you may say everyone does that. And that’s true, but it doesn’t make it right. You could unintentionally be reinforcing eating disorder behaviors and decrease the likelihood for early intervention. I can’t emphasize how many times I’ve heard from people that when their eating disorder began, their weight loss was celebrated. They were congratulated and nobody bothered to ask if they were okay or about what they were doing. Eliminating entire food groups or planned binge eating (cheat day anyone? )–These behavior patterns are not healthy and contribute to disordered thoughts around food. Fixation on healthy eating–You’ve heard it before: “I’m not on a diet, I’m just eating healthy.” But trust me, as a dietitian I want you to be healthy, just not “healthy” in the sense of diet culture. Not healthy where there’s a right and a wrong way. Where health promotion is about shame and guilt. Where there’s no room for fun or pleasure. Where health focuses solely on weight loss and isn’t really about health at all. This part of diet culture is the trickiest of all because the diet industry knows that diets don’t work. And they know that you know that diets don’t work–so they have shifted their marketing towards healthy eating, wellness, clean eating. This is where it gets tricky because this is still a diet, just called by a different name. Since it seems like almost everyone thinks this way, then it seems normal. It’s just the water that we swim in. But actually, it’s diet culture. And it’s down right dangerous. Diet culture normalizes, even praises, eating disorder behaviors. 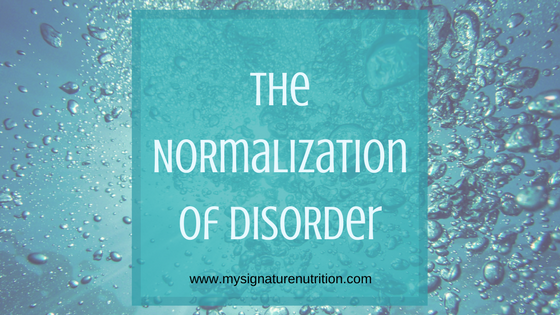 It becomes difficult to recognize early signs and symptoms- especially if someone isn’t “extremely thin” because the behaviors (obsessive exercise and rigid thoughts about food) are the very things that look normal and are praised in our culture! In essence, diet culture becomes the voice of the eating disorder. It affirms eating disorder thoughts and beliefs. It applauds and celebrates the “work ethic, dedication, and willpower” of individuals in most any body, but particularly to those in larger bodies. It says that they’re doing a good job, when really if it were someone in a smaller body we would be concerned or worried. This only reinforces behaviors, normalizes the experience, and makes eating disorder recovery harder. When we don’t challenge diet culture for everyone then disorder will remain the norm. 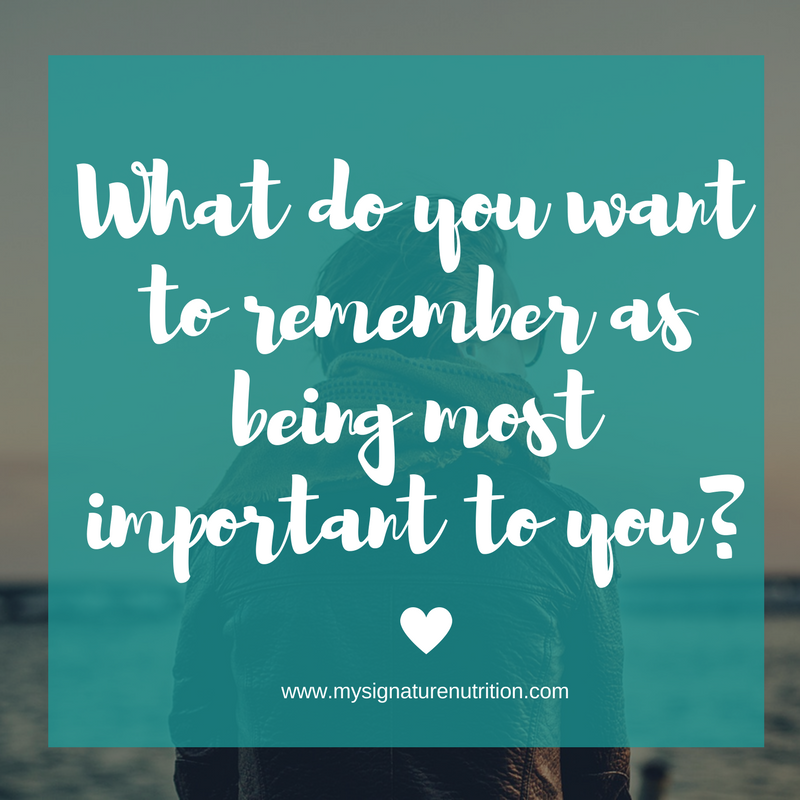 When you get to the end of your time and reflect back on your life what do you want to remember as being most important to you? Focus your energy there. Then, focus your remaining energy on rejecting diet culture. Focus on being aware of what is “so real, so pervasive, and so hidden in plain sight that”–like the fish swimming in water–we have to keep reminding ourselves that this is diet culture! Then actively choose to reject it. You’ll improve your health and the health of those around you! Want to connect with yourself more, discover what’s truly important to you, and reject diet culture? 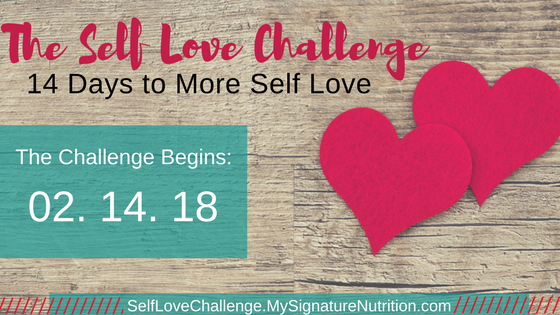 Sign up for the FREE Self Love Challenge! It starts soon on February 14, 2018. I love this piece, especially coming from a dietitian–an expert’s opinion makes it even more compelling to reject these normalized ideas. I looked up “why is food guilt normalized” after pondering the repeated comments my coworkers eat about “being bad” when they have a cookie or “walking it off.” I worry about such comments, but I feel like I am the only one who doesn’t think this way. I want to know how to constructively help without making anyone feel called out, but it’s such a tricky subject to broach. Anyway, your article made me feel a lot more justified in my concern. I only hope that more people read this and come to think this way. Thank you!